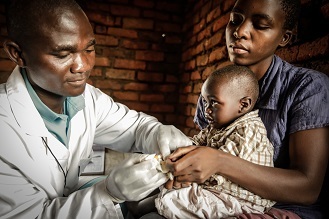 According to World Health Organization (WHO), two-thirds of people have access to a health facility within 30 minutes of their homes in Mozambique. However, most of them do not have an onsite laboratory, so they send their lab samples away for processing—frequently causing delays in getting the test results and starting treatment. Additionally, there is no centralized mechanism for tracking or transporting these samples to the laboratories. At times, health facilities will even forgo drawing lab samples, asking patients to travel to the laboratories to have them drawn there. The goal of AmosTaxi is to reduce the time it takes to get a sample to a laboratory using already existing transportation options. AmosTaxi, which is a loose Portuguese translation of Sample Taxi, uses a mobile application that alerts registered drivers when they are near a health facility that needs lab samples picked up. The coordinated exchange of information between lab sample transportation needs and transportation availability optimizes how vehicles are used for this purpose. VillageReach partnered with the Ministry of Health and FHI360 to implement the project in peripheral health facilities within Sofala province in central Mozambique. Funded by the Bill & Melinda Gates Foundation and their Grand Challenges Explorations initiative, we worked with Logistimo to adapt its fleet mobile application to design the technology-based process improvement system. Participants practiced how to use the AmosTaxi application during the training session. AmosTaxi uses a simple and intuitive mobile application that can work offline. When a laboratory sample needs to be picked up, a health centre worker calls the AmosTaxi dispatcher using a toll-free number. The dispatcher creates an order to pick up samples, sending the order notification to the nearest driver. If the driver accepts the order, she or he will go to the indicated heath centre to collect it; if she or he rejects it, the dispatcher sends a notification to the next closest driver. The mobile application also allows the dispatcher to track the lab samples—the drivers use QR codes (similar to a barcode) that are scanned at both the collection and delivery points. SMS notifications are sent to the health workers keeping them updated while the lab sample is in transit. A health worker learns how to scan the QR code during the training session. 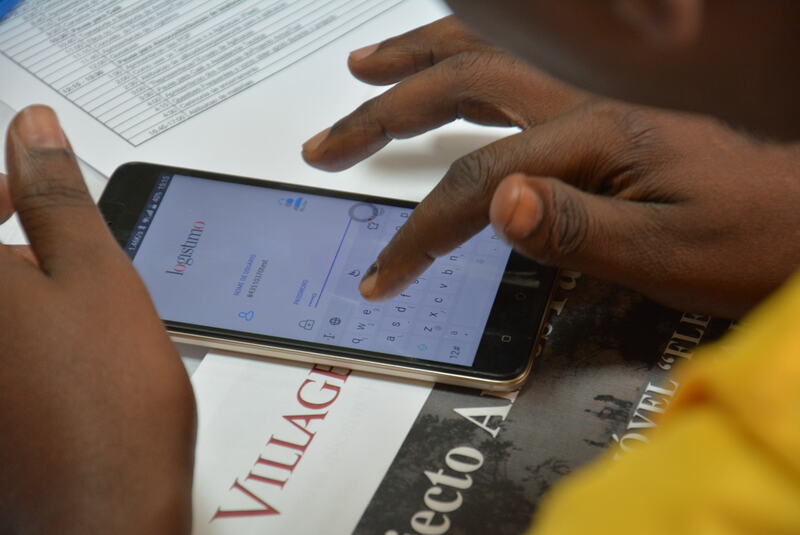 VillageReach brought health workers and drivers together to train them on the new approach, using the mobile application. The AmosTaxi system was received favourably by the trainees, who had various levels of experience with smartphones or transporting lab samples. 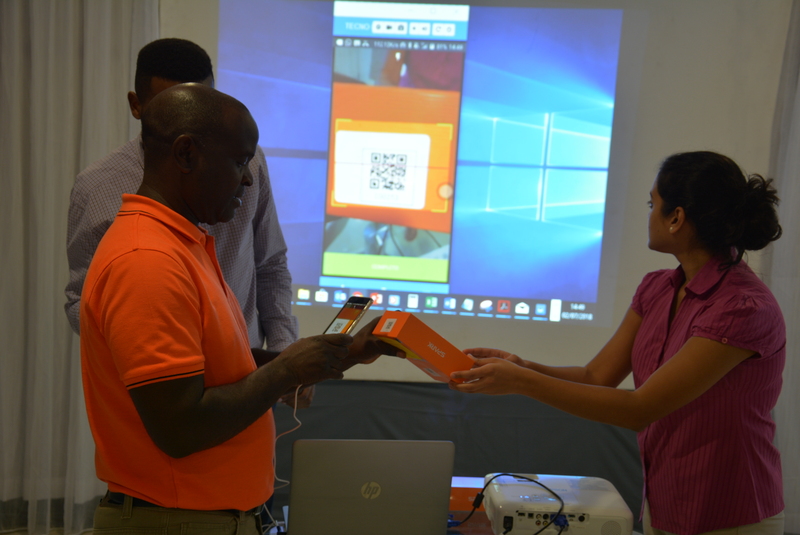 The health workers appreciated the ability to track progress, while the drivers were looking forward to starting their jobs, especially because the GPS capability made it easy. Initially VillageReach will focus on transportation of tuberculosis, viral load, and early infant diagnosis of HIV samples. There also is a plan to expand transportation to include additional types of lab samples and the distribution of paper laboratory results. Over the next ten months, VillageReach will monitor the progress of AmosTaxi in a few districts in Sofala province. It will require a lot of communication, some trial and error, and collaboration with our partners. But in the end, we are optimistic that this new system will reduce the turnaround time for lab sample delivery, with the end goal of helping patients to get faster access to the health care treatment they need. Based out of Maputo, Mozambique, the AmosTaxi program team includes, Susana Moreira, Mamiza Muteia and Elden Formoso.